KEMWorks offers process technology for a range of fertilizer products. These technologies are well proven with dozens of reference plants in South America. JPipe reactor techniques commercialized since 1986. The JPipe reactor functions alone for MAP and in conjunction with a preneutralizer for DAP at high capacities. Single train plant up to 200 tonnes/hour DAP or MAP. Optimization of water balance provides flexibility of acid strength and source. An Advanced Recycle Control System (ARCS) reduces the recycle ratio by about 30% compared with conventional processes resulting in lower capital cost. Fuel and electricity consumption reduced by about 25% compared with conventional processes. Simplicity in operation leads to lower maintenance costs. With increasing fuel and raw material prices, the economics of producing granulation products has been adversely affected. We can also offer a number of proven methods to modify granulation plants to reduce energy costs, including warm-air recycle, waste heat ammonia vaporizers, and bulk flow cooling. Designs are available from 10 to 130 t/h using Belt-Den technology. Operations since 1984 with direct dilution of the 98% H2SO4 with either water or H2SiF6. No liquid effluents when diluting with H2SiF6. • The turbine mixer-belt den combination produces a low density, porous product that is easy to granulate. For SSP permits operation with rock slimes or ground phosphate rock in the form of slurry with H2SiF6 from the scrubbing system. Standard designs available from 10 to 100 t/h. Flexibility in raw material source: ROP SSP and TSP, DAP, MAP, Urea, Ammonium Sulfate, and Potash. An improvement method to accurate fortify the fertilizer with micronutrients, including: Zinc, Boron, Copper, and Manganese. • Addition of elemental sulphur for high S grades. 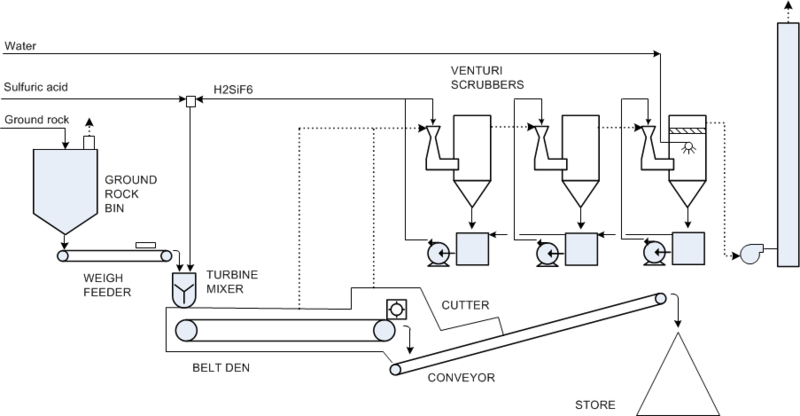 An Advanced Recycle Control System (ARCS) minimizes recycle ratio for lower capital cost. No Propriety Equipment for a more competitively priced plant.